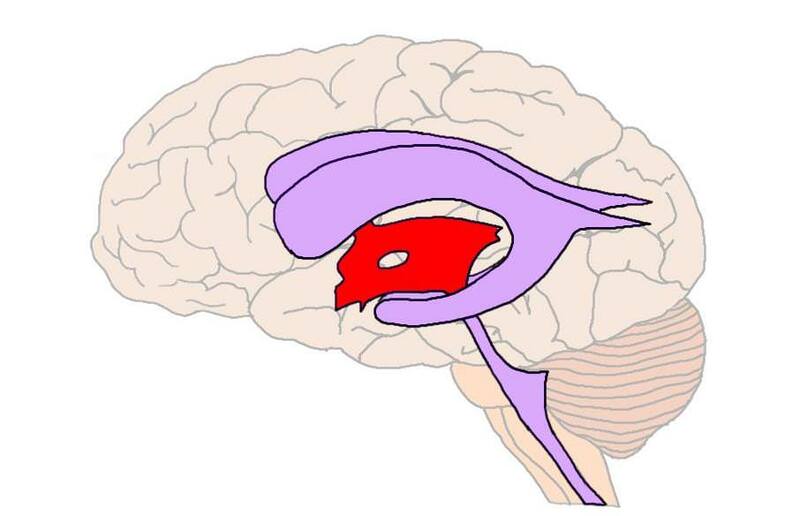 cavity found in the diencephalon between the thalami of each cerebral hemisphere. The third ventricle connects to the lateral ventricles via the interventricular foramen and to the fourth ventricle via the cerebral aqueduct. Like the rest of the ventricular system, it contains cerebrospinal fluid.